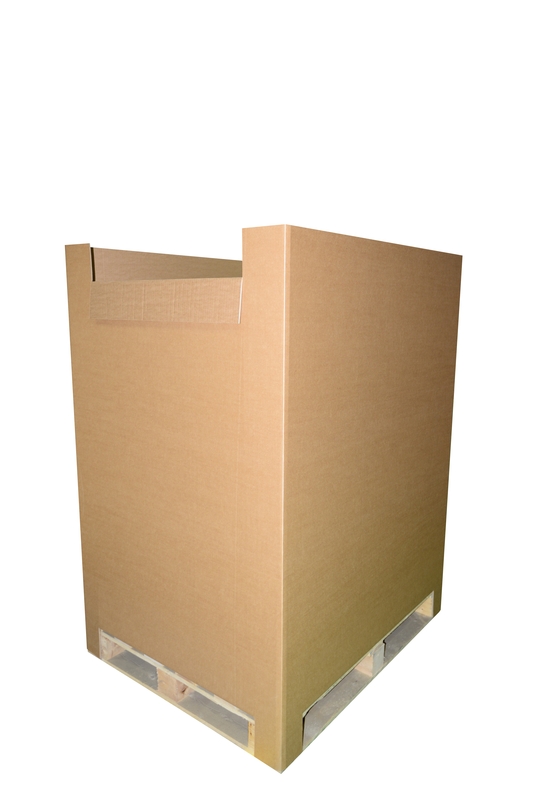 •	Extra protection for consolidated loads of pre-packed product, components and a wide range of WIP (Work in Progress) manufacturing applications. 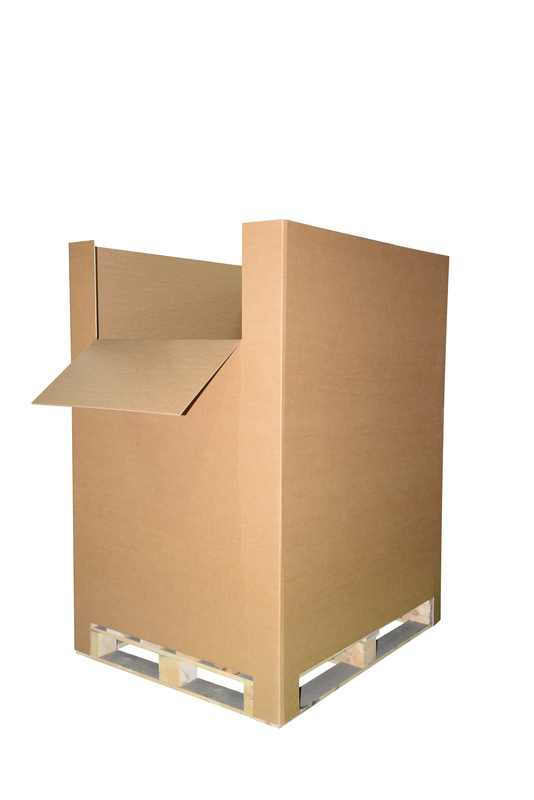 Distribution, Logistics & Manufacturing businesses that have a need to consolidate, store & ship large volume loads up to 1.93 square metres. 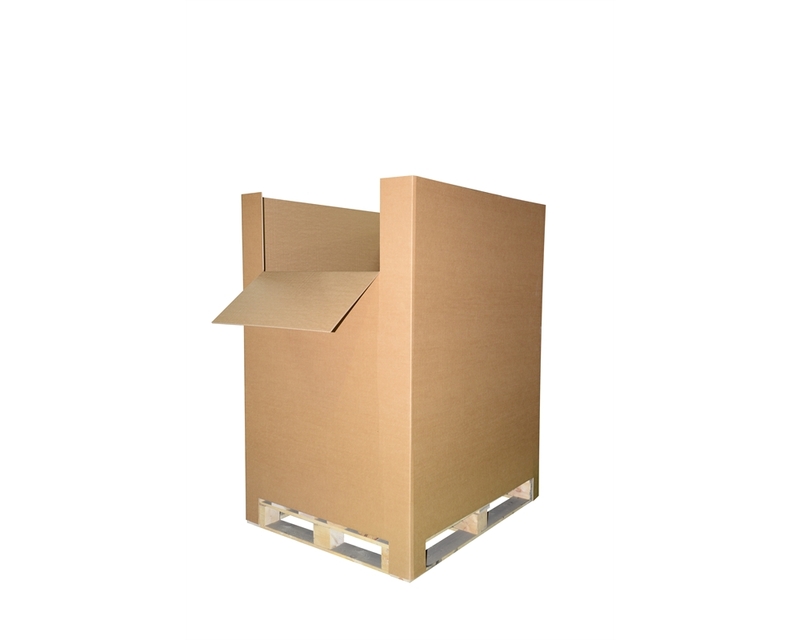 Subject to product being packed, the container is suitable for loads up to 200 Kilograms. 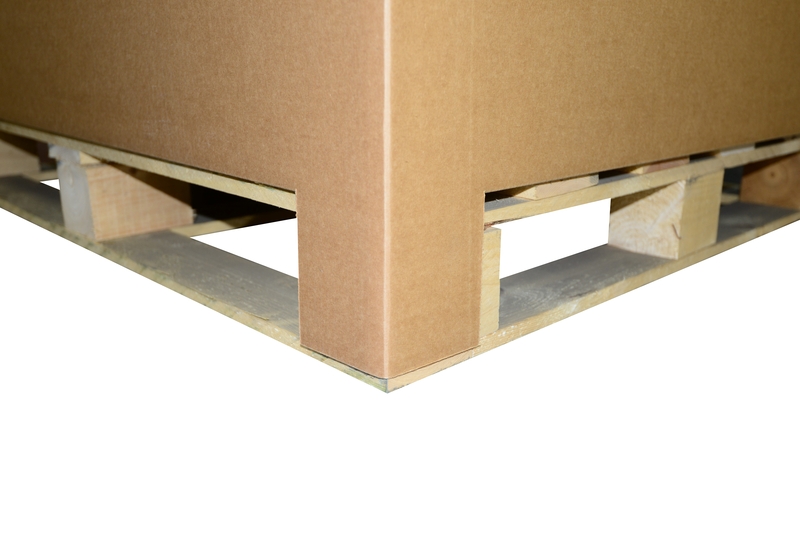 Designed to be used with a standard 1200 x 1000 wooden, plastic or corrugated pallet (not included) the short base flaps tuck in centrally on all 4 sides, leaving vertical retaining features on each corner to secure the unit positively to the pallet without the need for additional fixings. 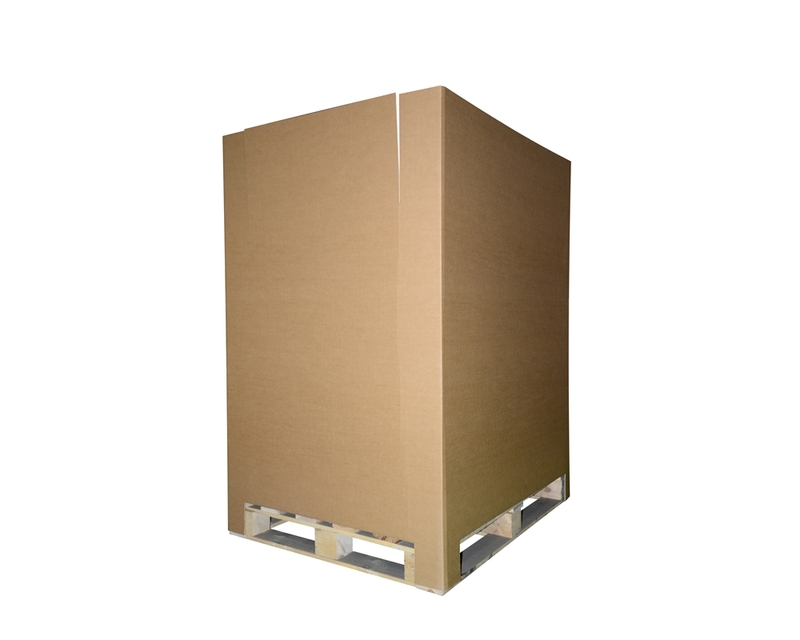 Drop Front feature (367 mm deep) on front main panel allows easy access to fill and unload the container, which when used on a pallet will be 1.75 metres tall. Mini Drop feature (130 mm deep) on rear panel allows final height inspection / fill level assessment and product levelling, if required. 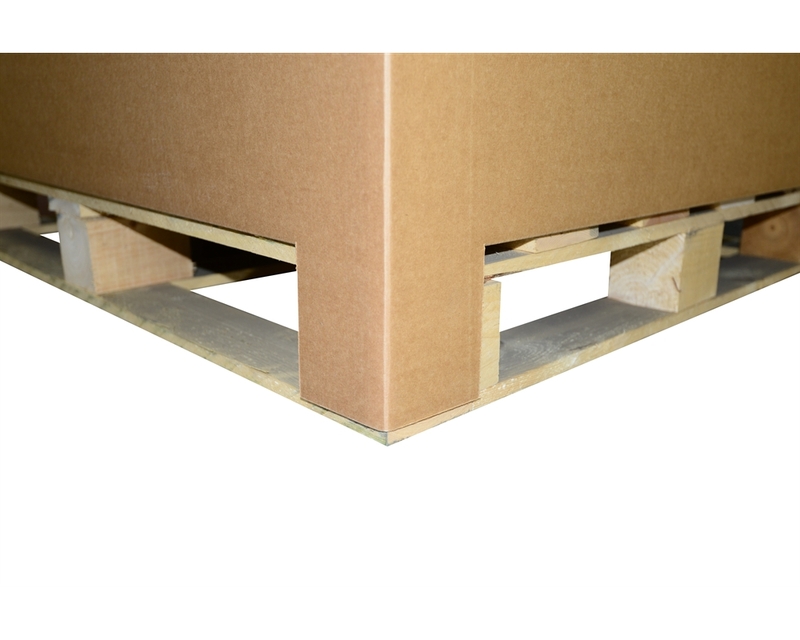 After use, the container can be simply pulled off the pallet & laid flat for storage, subsequent use or recycling. DISCS ™ is DS Smith testing process that determines whether packs can survive the bumps and scrapes of the average e-commerce supply chain. 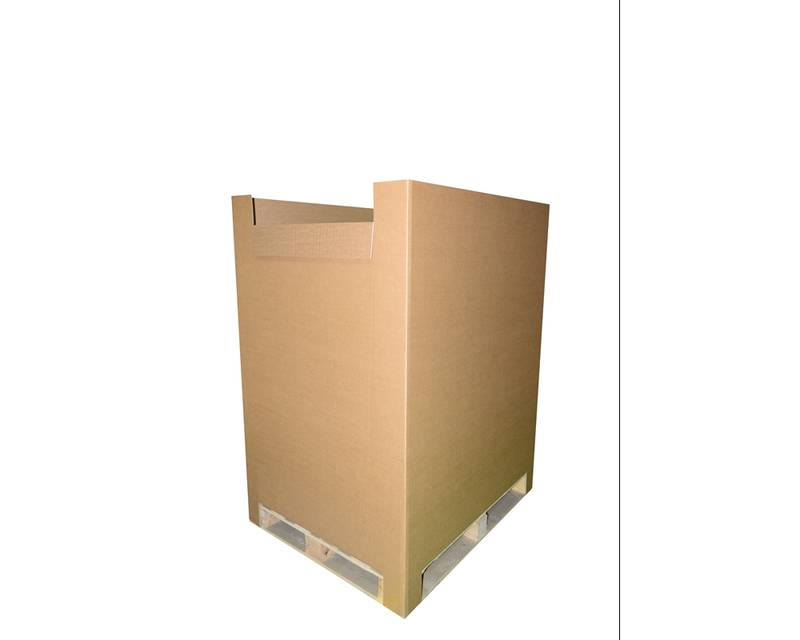 Online orders sometimes need to survive up to 50 touch points, so choosing the right pack is an important decision. 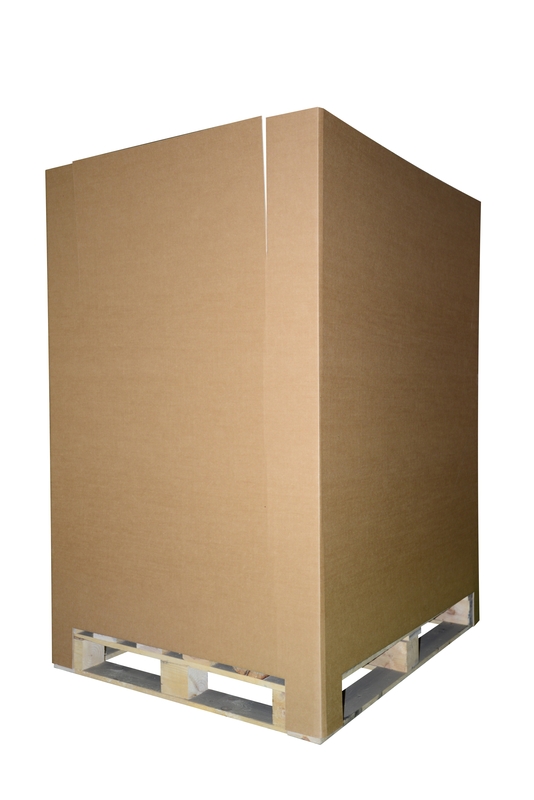 If you would like the security of knowing that your boxes will fully protect your product, please contact our Customer Service. We can offer you a DISCS ™ test for your product. Get in touch with us by phone at 0808 1691 030 or e-mail at shop@dssmith.com, and we’ll send you a quotation.